Last year, one of my Twitter friends tweeted about getting her 'Birthday Vogue'. I thought this was an awesome idea for a present for my mum for Christmas, and while scouring the internet for vintage magazines, I stumbled across my own... December 1979. I thought it would be rude not to buy it! 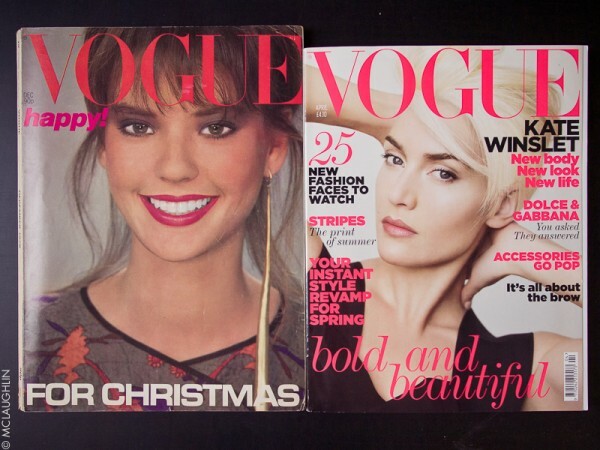 I have a Vogue subscription so I'm always flicking through the pages, both for my interest in Fashion, but also because I love getting inspiration for shoots, and seeing the latest photographic trends, so it's interesting to see what was en-vogue (pun intended) over 30 years ago! So what are the differences between then and now? Well aside from the change in size, the most striking difference is the price! Today's magazine costs £3.20 more than it's 1979 counterpart! It's also interesting to see that there's a lot less on the cover trying to "sell" the magazine's contents. I do like that the actual layout is pretty much unchanged with the same masthead at the top, with the price and issue date positioned to the lower left of it. Once inside, everything looks a bit retro, like you'd expect. There's also far more obscure advertising compared to today, and obviously there wasn't the same regulations surrounding tobacco and alcohol advertisements. That said, a lot of the photographic styles in the advertising, and editorials would still work today, even if the fashions might not! haha. One thing that is definitely a change in 21st Century Vogue is the section towards the rear of the magazine... "MEN in Vogue". 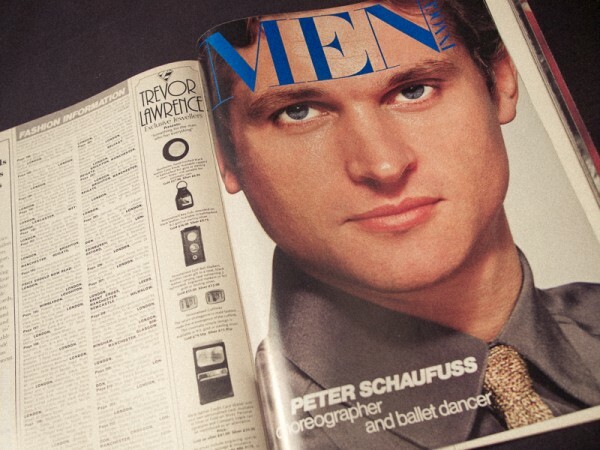 As well as this section in the back of Vogue, Condé Nast used to produce a mens quarterly magazine with same title until the mid eighties when they decided that there weren't enough men interested in fashion.... shame. 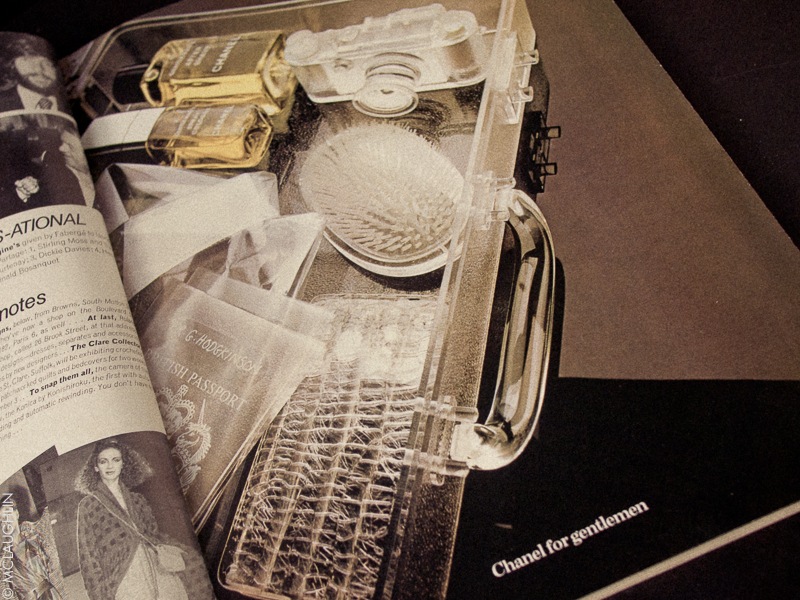 I've found flicking through this copy of Vogue really quite interesting, and recommend buying your 'Birthday Vogue' if you ever come across one.